Discover the best deals on Outer Banks vacations from Resort Realty! 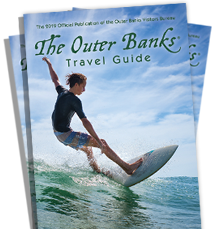 Looking for special offers, rate reductions and more to help stay within your Outer Banks vacation budget? Check out Resort Realty's OBX specials and discounted rental rates! In addition to our Featured Specials, you'll also be able to search through dozens of individual property specials for the entire summer! *Stay for a week and take advantage of special discounted pricing! Rate reductions have been applied. Cannot be combined with any other offer or discount. A minimum stay of 7 nights is required. Available for new reservations only. Some restrictions apply. Not valid for monthly stays.